Between the cradle and the grave, Lies a haircut and a shave. Chris Jones and Marc Storaci share more than 60 years of combined haircutting service and are the owners of the TBS line of franchised barbershops. The successful business model of their flagship shop in Hamilton has been their inspiration in opening multiple locations across central New Jersey in Mercer, Monmouth, and Ocean counties. Customer service tops the priority list at all TBS shops and there is a noticeable effort that they intend to provide the best to be had. Traditional barbering methods are utilized for an expert result for everything from a simple trim, to special solutions for problem hair. All services are value priced and reflect a consideration for the current economy. Everyone at TBS shops does their best to see that you’re going to like the service and are confident that you will! 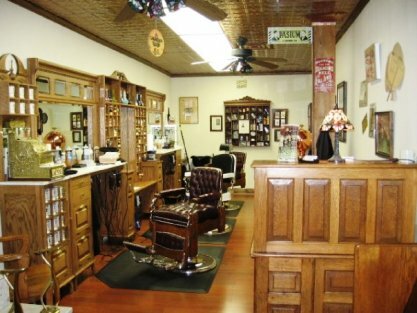 So, thanks for taking time to browse our website and we hope that now that you’ve had a chance to virtually meet us, you’ll make an opportunity to stop in for a haircut. We hope to see you soon…..